Do you know that the correct way to pack plates and dishes when moving? 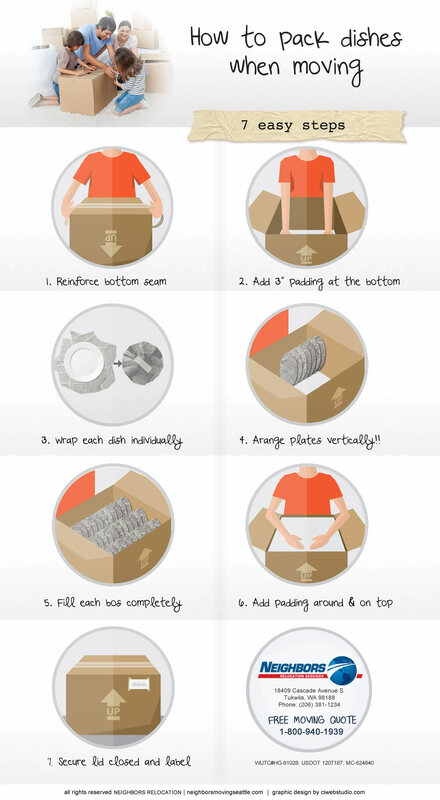 Use our handy step by step guide and learn the best way to pack your plates and dishes into boxes, and assure they survive the move intact. Fill any any empty space left around the plates or on top of them with crumpled up packing paper. Tape the box shut. Label it with its contents or as “Fragile” and draw an arrow to show which side is up. Please contact Moda Moving Portland for additional free advice on how to pack any other items you may need to move.